What is the purpose of the Fraction low mobile pedestal? 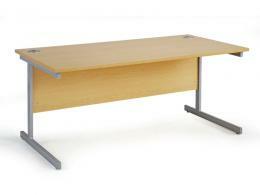 The Fraction range of low mobile pedestals is a great choice when it comes to practical and affordable furniture. The pedestal is available in a choice of two standard finishes and there is a comprehensive range of accompanying furniture available from The Workplace Depot, including pedestals, desks and filing cabinets. Where can Fraction low mobile pedestals be used? The fraction low mobile pedestals are the perfect addition to Fraction desks. The 2 and 3 drawer options come with lockable drawers so you can safely and neatly store confidential documents, personal items, stationary and other office desk essentials. Who might use Fraction low mobile pedestals? Anyone who works in an office or home office will find the fraction low mobile pedestals handy for storing their paperwork, stationary and other items in order to keep their desktops tidy, clean and clutter-free. Whether you work in an open office, private office or home office, these pedestals are the perfect cost-effective addition to your workspace. Order this product from The Workplace Depot and you will get free delivery within U.K. Mainland areas within 10 working days. 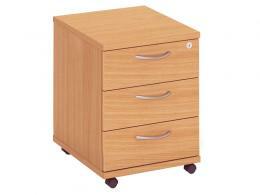 The pedestals come with locking drawers and are on metal rollers for silent, easy operation. Customers can choose from either the 2 or 3 drawer options and a choice of Oak and Silver or Beech and Silver. The Fraction low mobile pedestals dimensions are 530 (D) x 595 (H) x 438 (W) mm and we offer free assembly. All our products come with a one-year warranty on parts and labour and we offer a Price Promise to match any price. Order from The Workplace Depot today or contact customer services with any queries you may have. We accept most major credit cards and PayPal.